You searched for which does not fit your . We've redirected you to 100-1458, which has the proper fitment. Like the classic straight-leg pant but want that added protection during your ride? The Defender DuPont Kevlar Jeans are your answer. Purposed solely for self-preservation, they provide the highest level of DuPont Kevlar and CE protection. 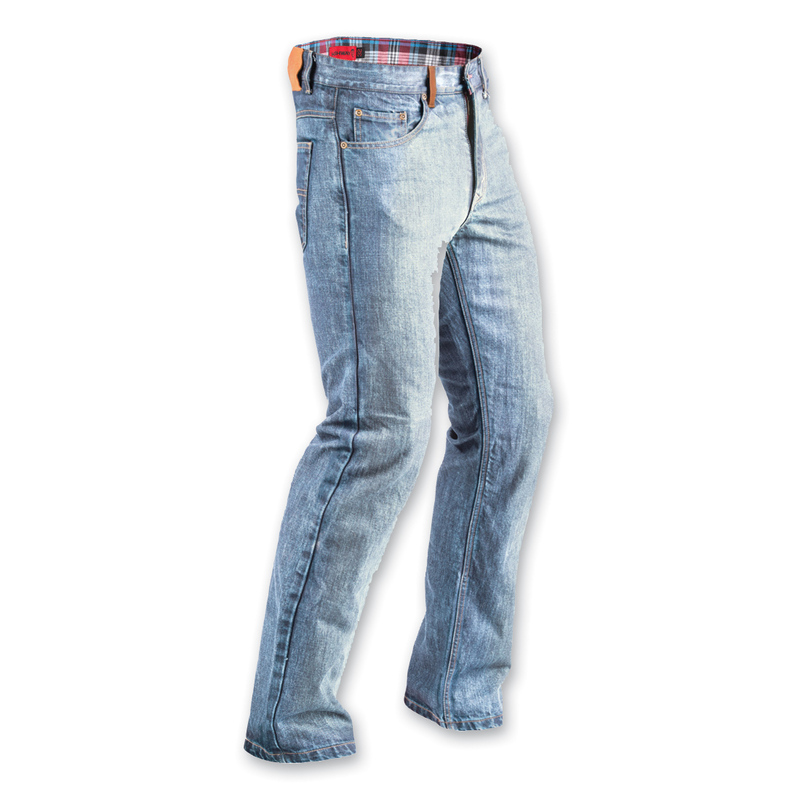 When obstacles keep multiplying and streets grow hostile, put on your armor and guard yourself with Defender Jeans. Comfortable fit. Easy knee pad install/remove. Pads somewhat concealed. Removed hip pad pockets easily so not to look like child bearing hips. Material surprisingly soft. Size runs true. Knee protection low, but hike up jeans when on bike they are fine. Look good even with knee protection in. Material so soft makes me question amount of protection. Hope I never find out.